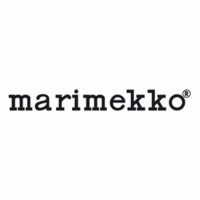 More about Marimekko Ajo Percale Bedding Designed by Kristina Isola for Marimekko in 1985, the Ajo pattern is a timeless pattern now printed on a basic essential. These black-and-white striped sheets will pair beautifully with solid or printed bedding like floral for an eclectic yet cohesive set. 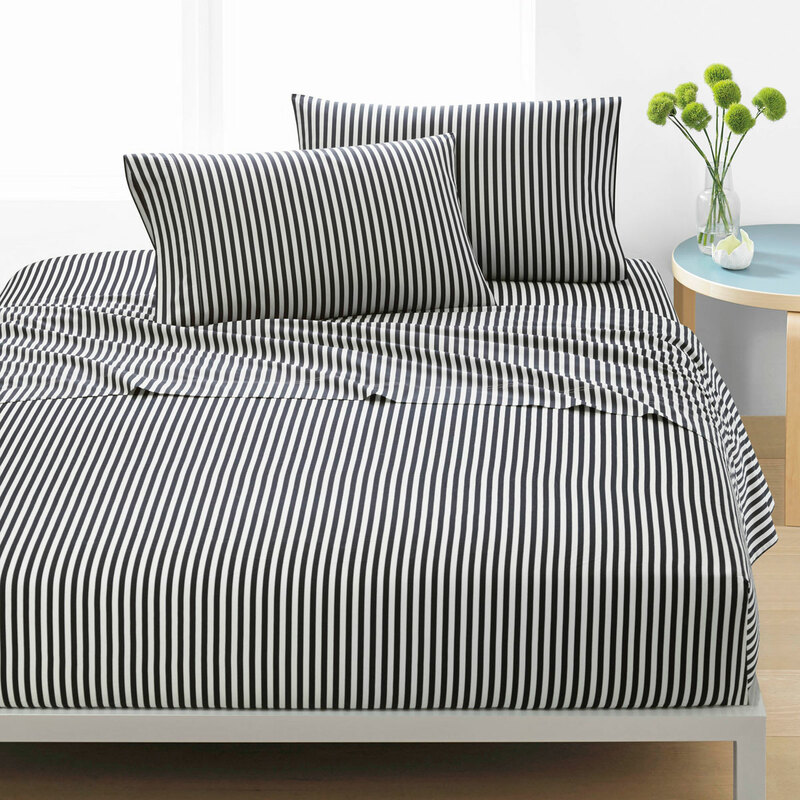 Crafted from 100% cotton percale, the crisp yet soft feel of the sheets will only be enhanced with machine washing. 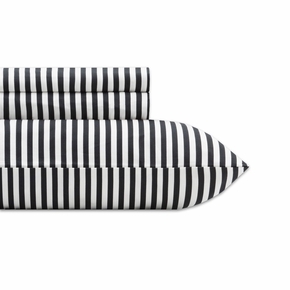 Please note: Twin XL Set includes one fitted sheet, one flat sheet, and one pillowcase. All other sizes include one fitted sheet, one flat sheet, and two pillowcases. Twin X-Long - 80" L x 78" W x 16” Depth (203 x 198 x 41 cm) fits both twin x-long & twin beds. Twin X-Long - 96" L x 66" W (244 x 168 cm) fits both twin x-long & twin beds. 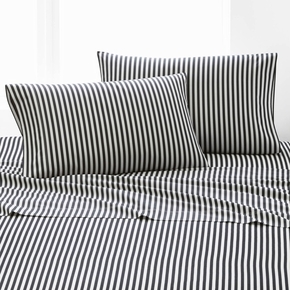 Hello, These are printed stripes in the sheet sets. 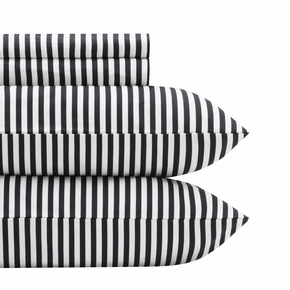 are pillowcases included in queen sheet set?